Max is our oldest boy, he'll be 8 later this year. He's always been a quiet, cuddly sweetheart, and very kissy. 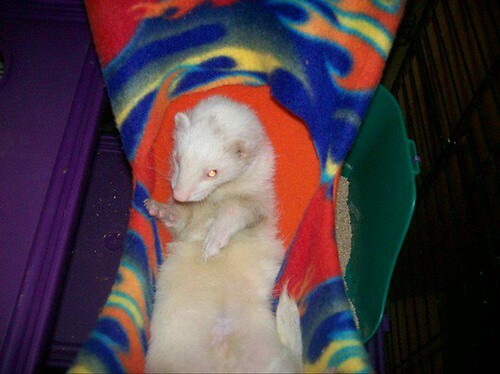 He's the first ferret we've had, and definitely not typical, most woozies are way wilder! We got Max kind of accidentally, we were at a local pet store buying... I think food for our hamsters, and there was a lady in front of us at the register asking the owner if he knew anyone who would take in a ferret, he needed a good home but she didn't want to bring him to a pet store. He had belonged to her son, but her son had to go overseas in the military and she couldn't take care of him. 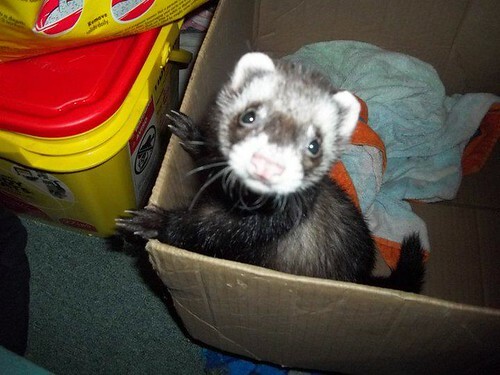 So, we let her know that we would gladly take him in since we had wanted a ferret for a while and already done some research, she took us to see him and, well, the rest is history. Charlie is our second oldest, she'll be 4 this year, we got her in almost exactly the same fashion as Max, same pet store and everything, but she had belonged to an elderly lady who was moving into a nursing home and her niece was trying to sell Charlie to the store So when he denied her, we told her we'd be glad to give her a home and would reimburse her for the toys, blankets, and bowls that Charlie was accustomed to, since they were all with her, so we gave her $40 and took our little girl home. Her name was Charlotte, and still is when 'she's a lady', but mostly we just call her Charlie. Ooow, they are such cuties !! Thanks for the pictures, I really enjoyed it ! 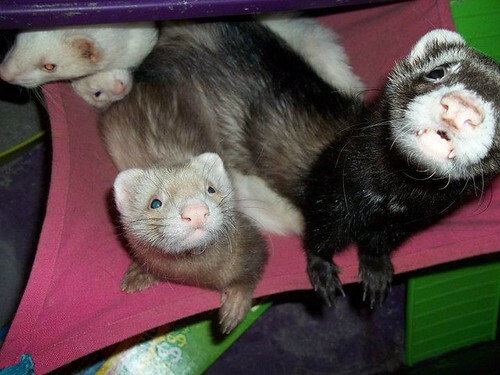 They remind me of my own ferrets, Whiskey and Bailey . 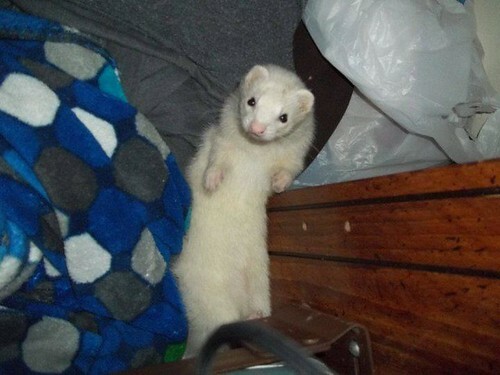 Oh my, those are some cute ferrets! Max looks similar to my Rosco. Thank you for the pics! Thanks guys! We do love our silly woozies, eh?